Launch is scheduled to take place later this year. 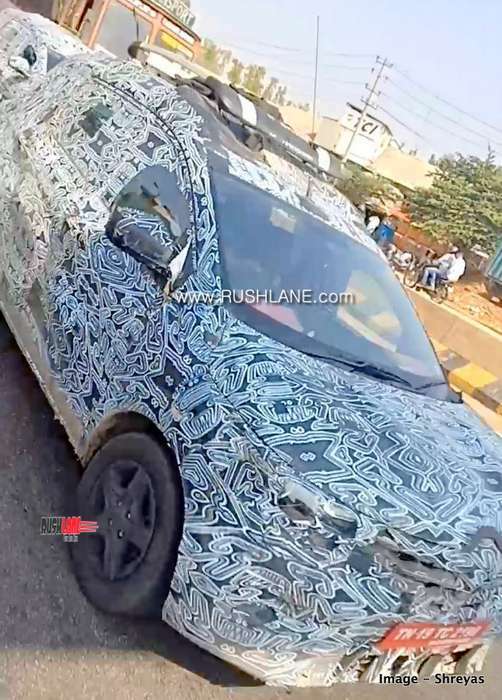 Hat tip to automotive enthusiasts Vinay Patil and Shreyas for sharing exclusive spy shots. 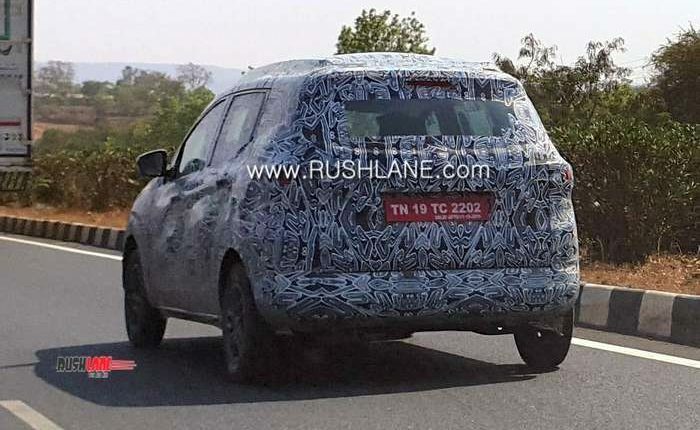 Renault, the French automaker has ambitious plans for India with four new cars poised for launch in the coming years. 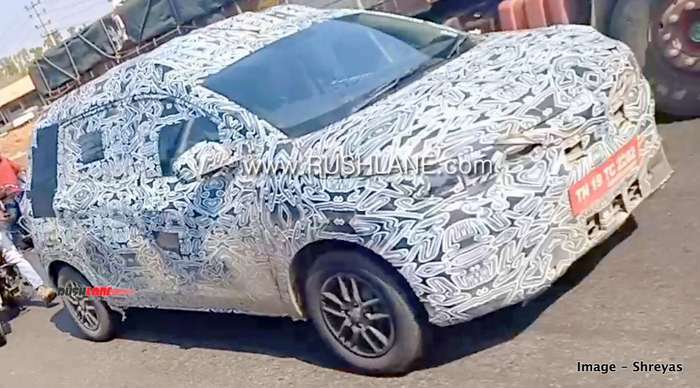 Each of these new cars will be based on the successful Kwid platform. 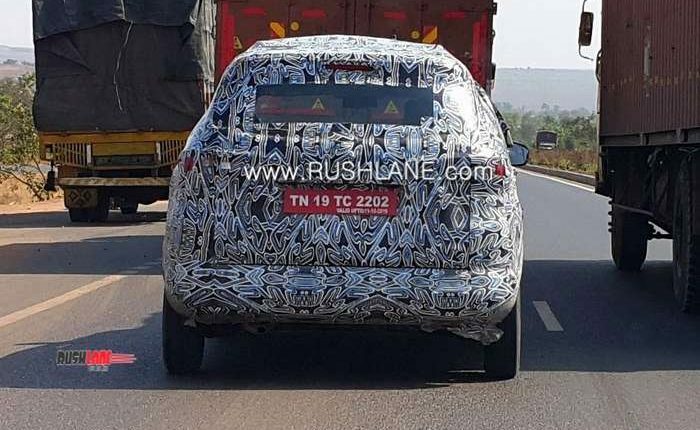 Though Renault has not confirmed what will be these cars, leaked reports reveal that one will be an electric Kwid, another will be small SUV, a small sedan and a 7 seater MPV. It is the latter which will be launched first. 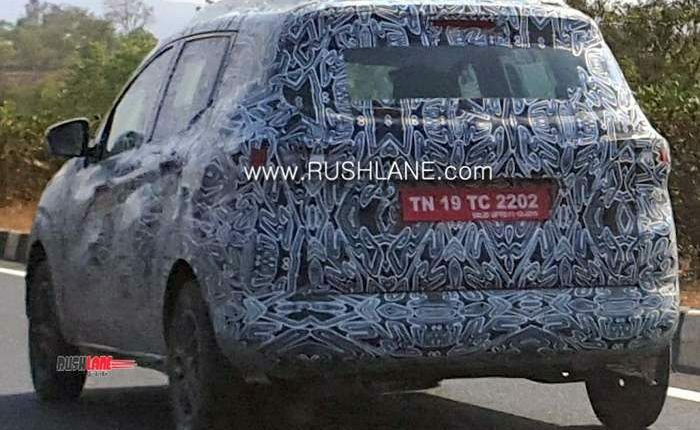 Codenamed RBC internally, the new MPV was recently spotted on test in Chennai. 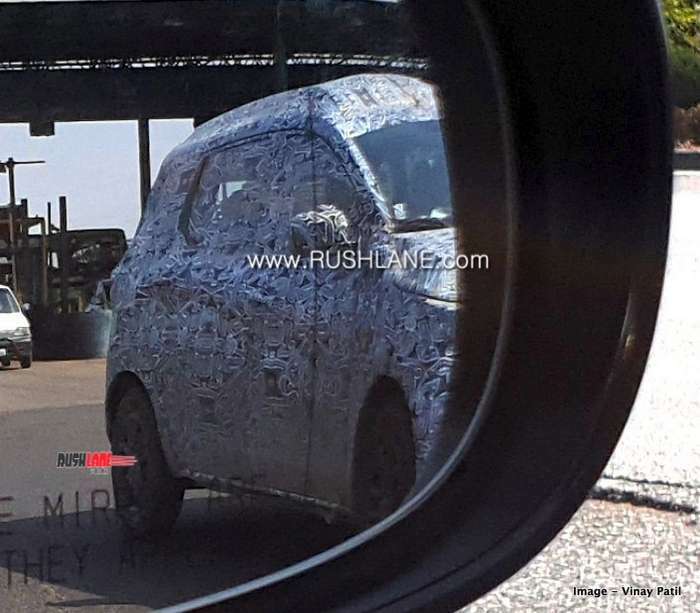 The Renault RBC will be company’s second offering in the MPV segment after the Lodgy. 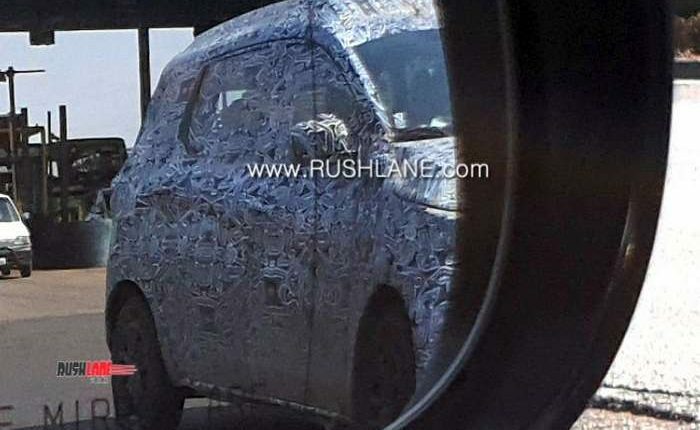 Spy shots reveal that the MPV is in the final stage of tests, with launch scheduled for later this year. 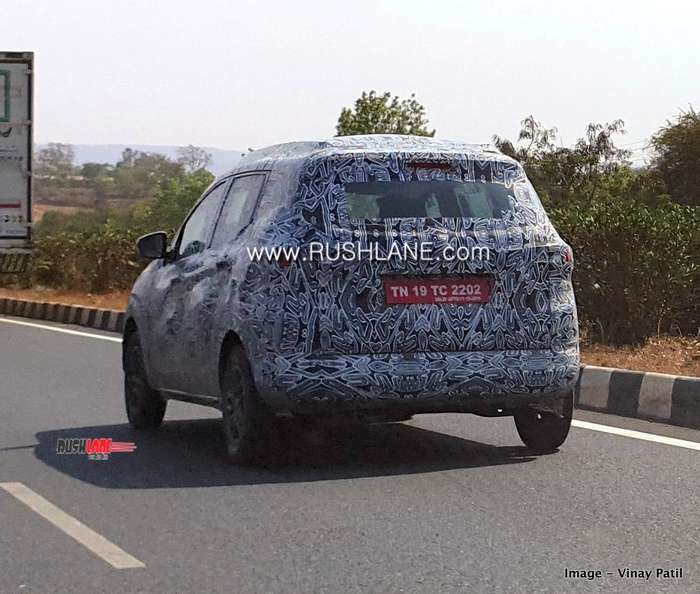 Expected to be a sub 4 meter MPV, the RBC will sit above the Kwid and below the Duster in company line up. The new Renault RBC MPV is positioned on the CMF-A+ platform, which contributes to a longer wheelbase and thereby added interior space, easy ingress and egress to third row seats. 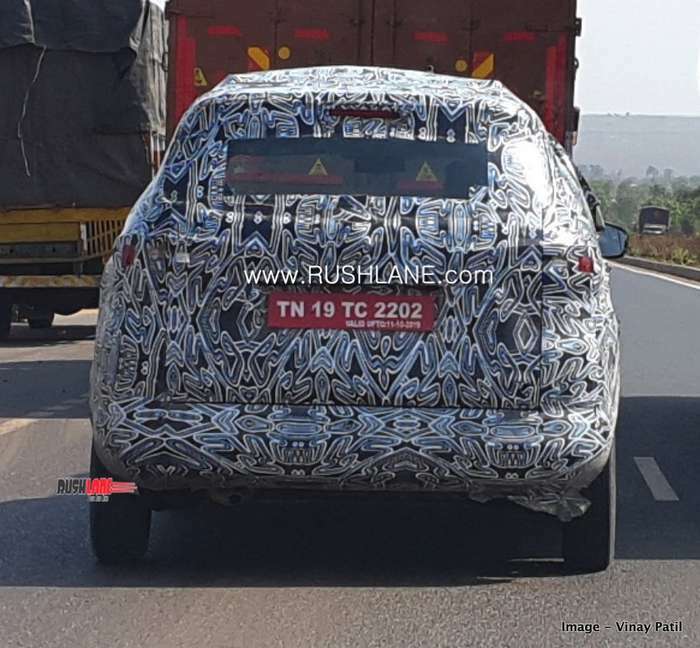 The side view reveals that the car has very little rear overhang, this could be because of trying to get the MPV in under 4 meter category. Renault RBC could also borrow styling cues from the Kwid, with similar headlamp and grille design. 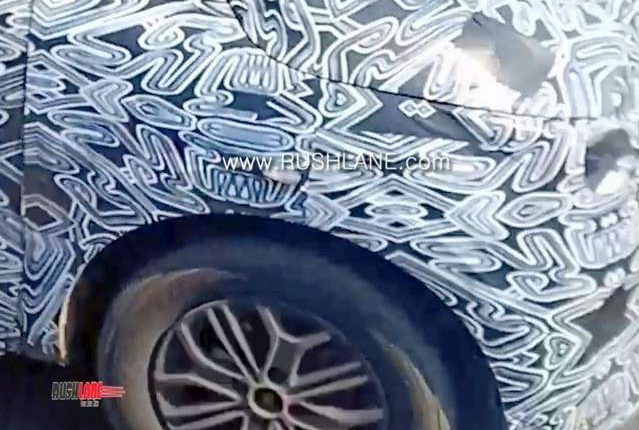 Spy shots also reveal design inspired from Renault Secenic and Espace MPVs, which are currently on sale in Europe. 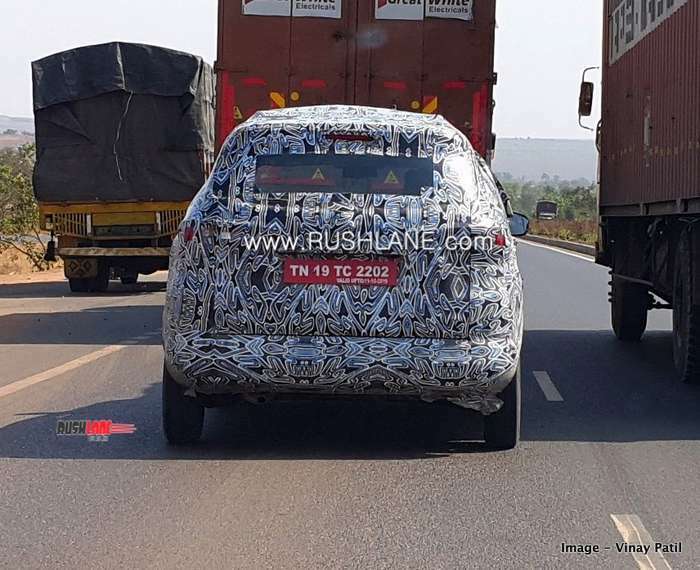 In the front, projector headlamps with LED DRLs could be on offer. 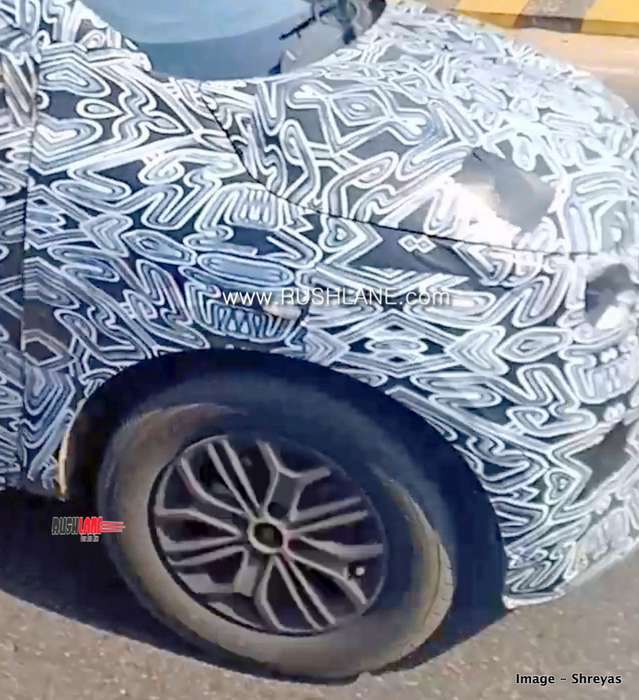 New alloys with pronounced wheel arches are highlights on the side. Interiors will be spacious and feature rich. 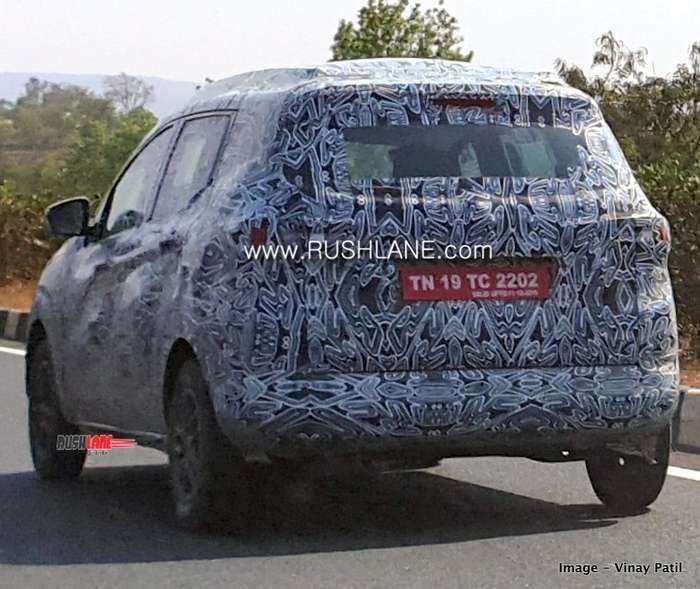 Infotainment system will be similar to the one offered in Duster. There is also a 3 spoke multifunction steering wheel and a digital speedometer. Base trims could get fabric seat upholstery while top spec variant could get leather upholstery. Interiors will also get several smaller storage spaces like glovebox, bottle holders and cup holders. The new Renault RBC will have increased number of safety features which will include driver and co driver seat belt reminder, speed alert system, ABS, EBD and dual airbags as standard. Speaking about engine options, not much is known. 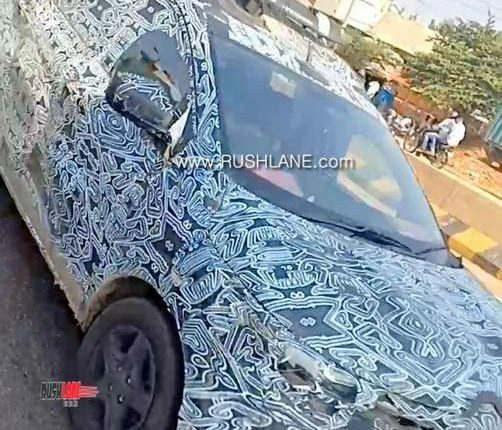 Considering the size, it could be powered by Duster’s petrol and diesel 85 PS engine. Transmission options could include manual as well as automatic / AMT. High level of localization will allow the company to price the Renault RBC aggressively in Rs.6-9 lakhs range. 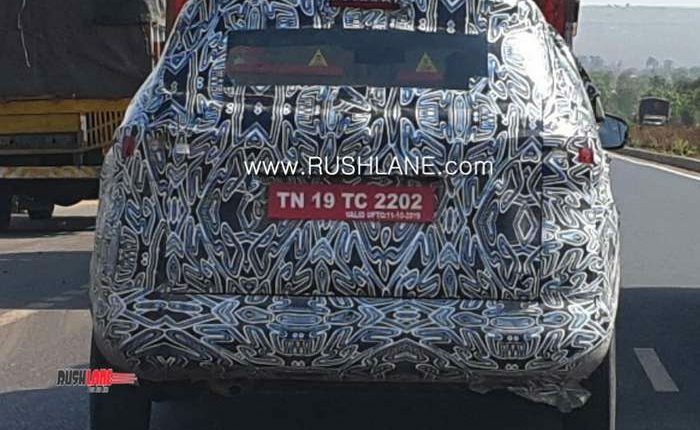 Renault could be hoping for the RBC to be a start of a new beginning, similar to what Kwid did for them in India.